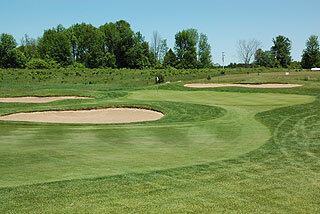 Eagle Glen in Farwell is a Jerry Mathews championship design that has earned 4 stars out of 5 from Golf Digest Places to Play and has been labeled as the "best bang for the buck" in mid Michigan. This open Scottish links style design features natural wetlands and strategic bunkering with high grass mounding bordering the nicely conditioned bent grass fairways. 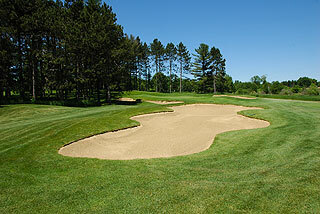 Large undulating putting surfaces are often protected by sand traps and gently sloping mounds. There generally is ample room for recoveries however, and landing areas are open enough to provide a fair experience for high handicappers and beginners. Serious golfers will be challenged from the two back tees, which measure 6602 yards/133 slope and 6204 yards with a slope of 138. 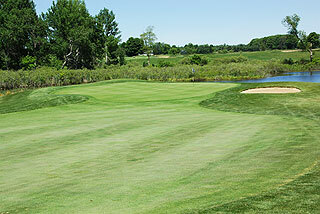 The forward tees play to 5130 yards with a slope rating of 125. 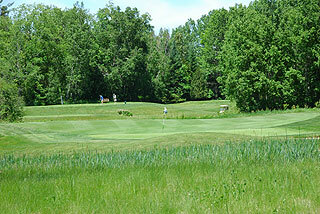 One of the main obstacles to par is the wind, which can become quite a factor on this mostly open layout. 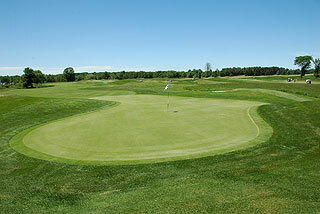 On property is a beautiful putting green, a grass range with target areas and a short game area with sand bunker. The clubhouse features a pro shop plus restaurant/bar that serves lunch specials and beverages - with banquet/outing facilities that can accommodate small and large groups. 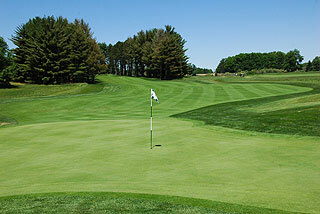 On course golfers will find stakes on the fairways every 50 yards from 200 in, plus a 150 yard block on all par fours and fives. Small markers on the flag sticks provide info on front, middle or back pin placements. There are some pretty par threes on the front side. The 188 yard fourth features a carry over a marsh, and the 216 yard sixth is the course's number 6 handicap from the back tees, as it demands a formidable carry over a pond with not a lot of room for error. 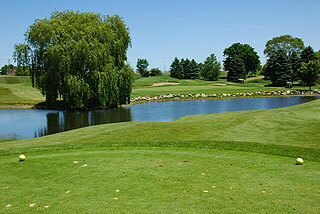 Trees are not a factor at Eagle Glen...Wind and water are the obstacles here. Rates are extremely reasonable - making this one of the best values in the region. Packages are available through the nearby Doherty Hotel in Clare. 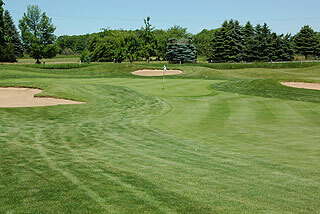 For more info, call Eagle Glen or visit our page for the course, with direct link to their website by clicking here.